If your opponent Special Summons a Dragon monster (Quick Effect): You can reveal this card in your hand then roll a six-sided die and if the result is a 2 or lower; banish the opponent's monster and Special Summon this card. This effect cannot be negated. Cannot be destroyed by Spell/Trap effects. Last edited by ScionStorm; 19th October 2018 at 09:25 AM. Really, all manner of spooks that go bump in the night. So post your new Spoopy cards here. Instead of doing NaNoWriMo, I'm going to make a whole set by the end of November. Anyone else want to try the challenge too? If this card is Link Summoned, you can add 1 Cyberse Tuner monster from your deck to your hand. If a Cyberse monster is Normal or Special Summoned to a zone on your side of the field that a Cyberse Link monster points to, you can Special Summon 1 Level 4 or lower Cyberse monster from your hand, but it cannot attack. You can only use each Effect of "Quantum Tiger" once per turn. (1) Banish 1 Link 2 or higher monster from your graveyard: Special Summon 2 Cyberse monsters from your deck (1 Tuner and 1 non-Tuner) whose combined Levels are less than or equal to 7. (2) During the Battle phase (Quick Effect), you can banish this card from your graveyard: Immediately after this Effect resolves, Synchro Summon a Cyberse Synchro monster using only Cyberse monsters you control as Synchro materials. A monster Synchro Summoned by this Effect gains 500 ATK and DEF. You cannot Summon monsters the turn you activate any of these Effects, except Cyberse monsters. You can only use each Effect of "Quantum Aura" once per turn. (1)If this card battles a monster, your opponent cannot activate cards or Effects until the end of the Damage step. Last edited by Destiny91; 27th October 2018 at 08:28 PM. If a Zombie-Type monster destroys a monster by battle: You can target 1 Pendulum Monster in your Graveyard; add it to your hand. Cannot be destroyed by battle or card effect on the turn it is Pendulum Summoned. You can discard 1 monster; add 1 DARK Ritual Monster or 1 Ritual Spell from your Deck to your hand. You can shuffle any number of Spells from your Graveyard into the Deck, then target 1 Fiend or Zombie monster in your Graveyard whose Level equals the number of cards you shuffled into the Deck; Special Summon it. You can only use each effect of "Ritual Mortuary" once per turn. Last edited by ScionStorm; 27th October 2018 at 10:50 PM. Five cards for Bakura's deck. In connection to the monster Dark Master Zorc which was inspired by Yami Bakura's game master character, here are all new Zorc cards and new deliciously dark Ritual support alongside the bride of Zorc, herself- Dark Mistress Necrofear. Do you dare to set foot in their Dark Sanctuary? Are you cunning enough to contribute to their necrofarious malichinations? Unrest assured, they will teach you- You can destroy the board, you can destroy its message but you cannot escape your FINAL fate. Can be Ritual Summoned using "Dark Contract with the Abyss", also you must always use a "Dark Necrofear" you control as material. While you control "Dark Sanctuary": "Necro" DARK monsters gain ATK equal to their level x100. Once per turn: You can equip a "Necro" DARK monster in your GY to an appropriate target OR unequip one you control and equip it to another appropriate target. This is treated as equipping by its own effect. If this card would be sent from the field to the GY: You can activate a "Dark Sanctuary" from your Deck or GY, also it is unaffected by Spell/Trap effects. If this card is removed from the GY (except by Banishing): Destroy any "Dark Sanctuary" you control that was activated by this card's effect. During your End Phase, if this banished card was banished this turn: Add 1 banished card to your hand then return up to 2 banished cards to the Deck. You can control only 1 "Dark Mistress Necrofear". You can discard this card: Add 1 DARK Ritual monster or 1 Ritual Spell card from your Deck to your hand. Once per turn, you can target a DARK Ritual monster you control: Equip this card in your GY to that target. The equipped monster cannot be destroyed by monster effects or Spells. If this card is equipped to a "Zorc" Ritual monster that is targeted for an attack: You can return it to your hand then Special Summon this card and 1 "Zorc Necro Dragon" in your GY. While you control "Dark Sanctuary": This monster is also treated as a Fiend monster on the field and in the GY. If a "Zorc Necro Eye" is sent to the GY: You can send this card from your Deck to the GY. This effect of "Zorc Necro Dragon" can only be used once per turn. Once per chain, if a Ritual monster is returned from the field to your hand and this card was in the GY at the time: You can add 1 Ritual Spell in your GY to your hand. During your Standby Phase, while this card is banished and you control a "Dark Sanctuary": You can add 1 banished card to your hand. You can discard this card: Add a "Destiny Board" in your GY to your hand and return any "Spirit Message" cards in your GY to your Deck . While you control "Dark Sanctuary" and this card: "Destiny Board" cannot be destroyed. Once per turn, you can target a DARK Ritual monster you control: Equip this card in your GY to that target. If a Fiend or Zombie monster you control would be destroyed: You can banish this equipped card to negate that destruction then add 1 "Necro" Dark monster or "Dark Sanctuary" from your Deck to your hand. If this card would be banished other than by its own effect: You can return up to 3 banished cards to the Deck. Ritual Summon a Ritual monster in your hand by banishing monsters from your field or GY face-down with total levels exactly equaling the level of the Ritual monster but it cannot attack this turn. You can banish "Necro" monsters treated as Equip cards you control as material and if you do, apply its original monster level. If this card would be banished: Flip all of your face-down banished cards face-up. Last edited by ScionStorm; 6th November 2018 at 01:22 AM. sorry, ATK equal to their level? 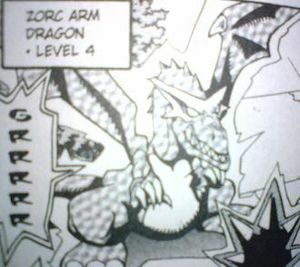 like, zorc necro eye would gain '4' attack points? Well, to get this rolling again, I have a new batch of Tulpa monsters, including a re-do of two of the old ones. I also revamped how I templated them, and cleaned up the rules to how they work. Now, they have printed damage values where their DEF would go, and cannot go in defense position to stop someone from just switching a little one into defense and using it as an invincible wall. Also, rather than being a subtype, everything is just going to go on archetypes like everything else in the game. I also ended up giving them a theme of risk, where each one has a drawback. Once per turn: choose 3 Fusion, Sycnrho, Xyz, and/or Link monsters in your GY, and arrange them face-down. Your opponent chooses one, and the rest are banished face down. Special Summon the chosen one, but banish it when it leaves the field. 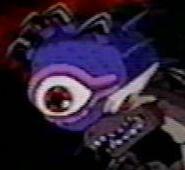 Once per turn, during your opponent's Main Phase: Target 1 non-Tulpa monster your opponent controls; put 1 Prey counter on it. If this card battles an opponent's monster with a Prey Counter on it: Double this monster's ATK and DMG during the damage step only. Your opponent cannot target other monsters you control for attacks or card effects. This card looses 300 DMG for every other monster you control.